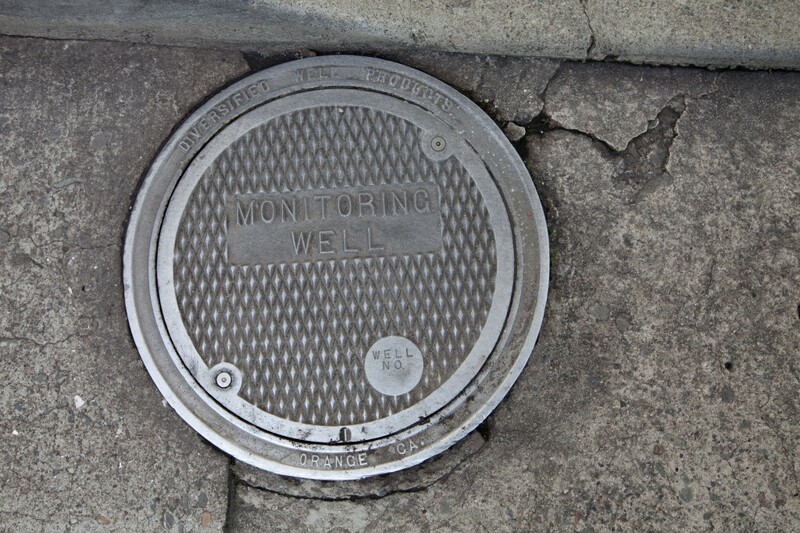 A manhole cover protects a monitoring well on the streets of San Francisco. 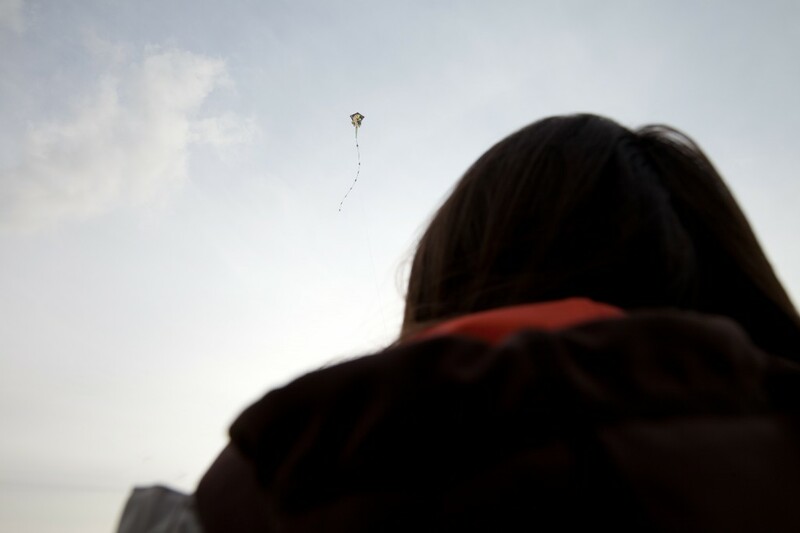 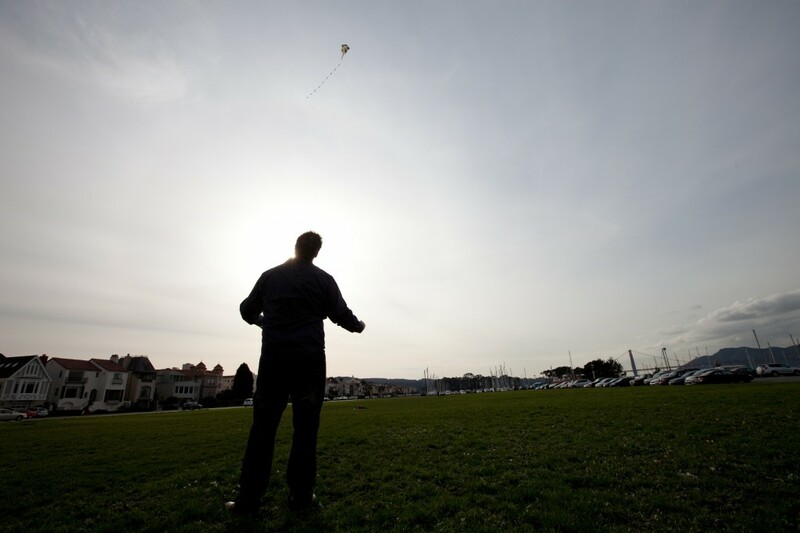 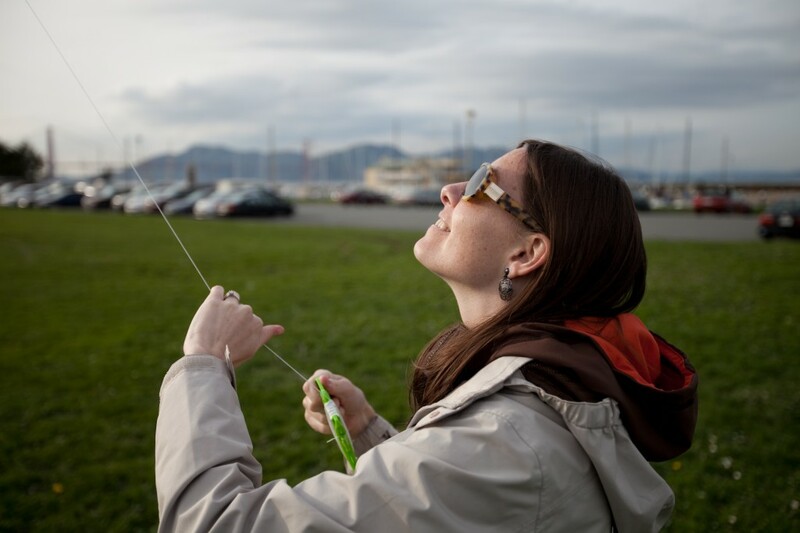 Penelope smiles as she flies a kite next to the marina in SF. 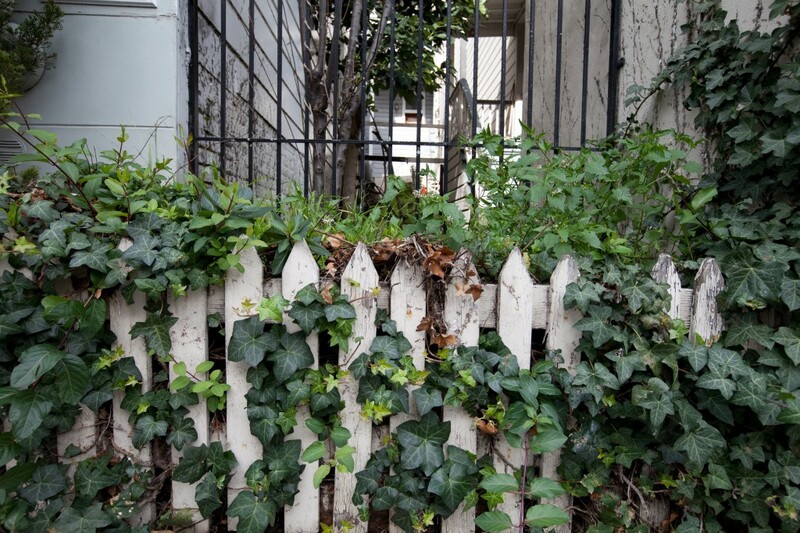 Ivy pokes out of an oddly placed white picket fence in San Francisco. 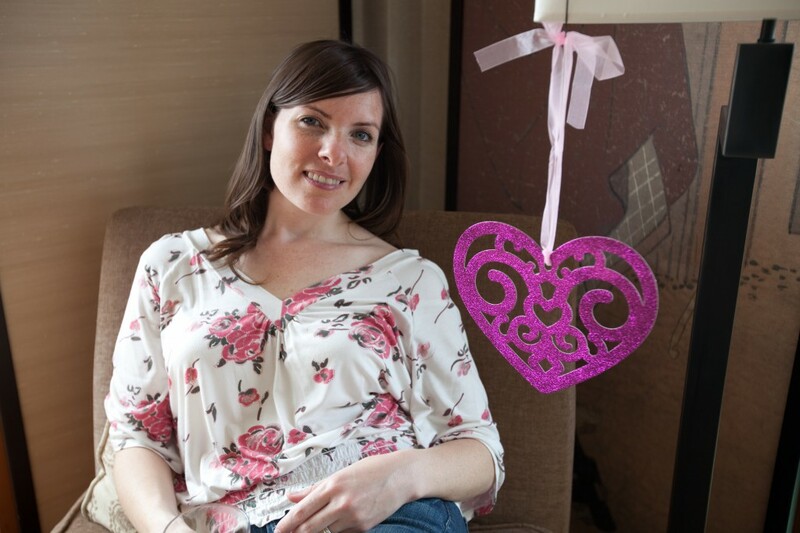 Penelope sites next to her Valentine's Day decoration in our hotel room in Japan Town. 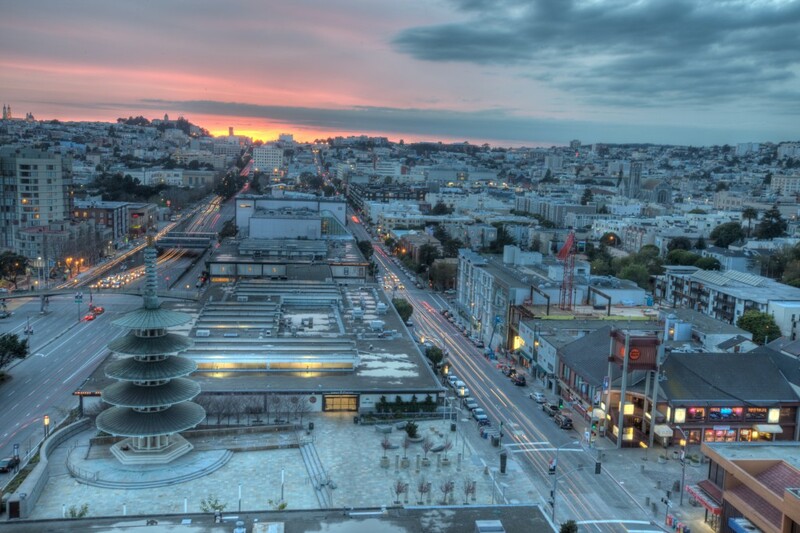 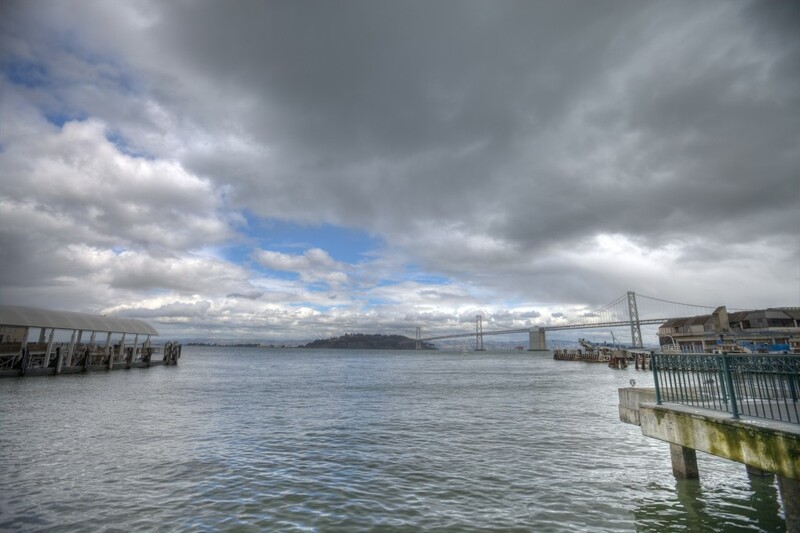 The clouds break for a minute to reveal some blue sky above the San Francisco Bay as seen from the Ferry Plaza.